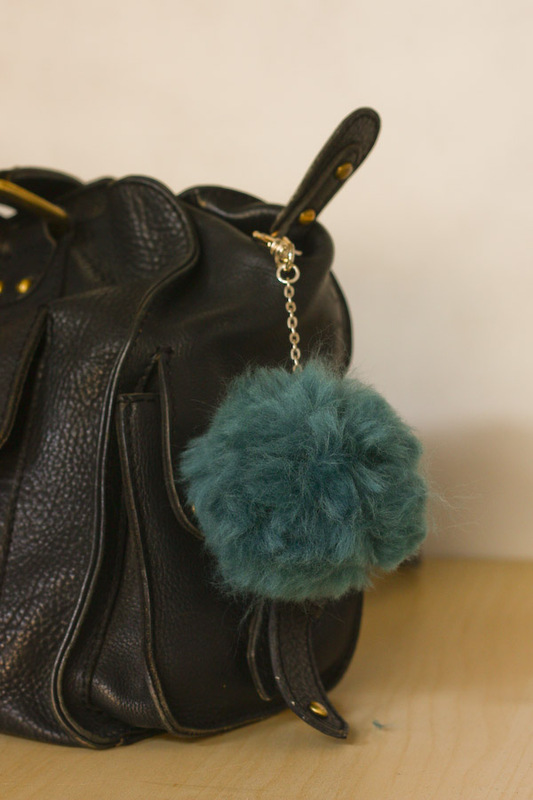 Giant fluffy pompoms are everywhere right now, from jewellery to bags. 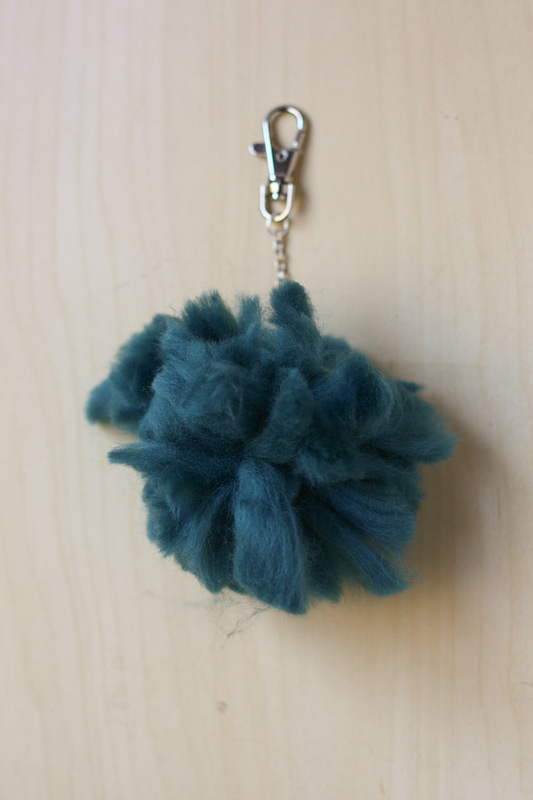 Because I make and teach needle felting, I have lots of wool roving (or unspun wool) and realised it would make great pom poms! 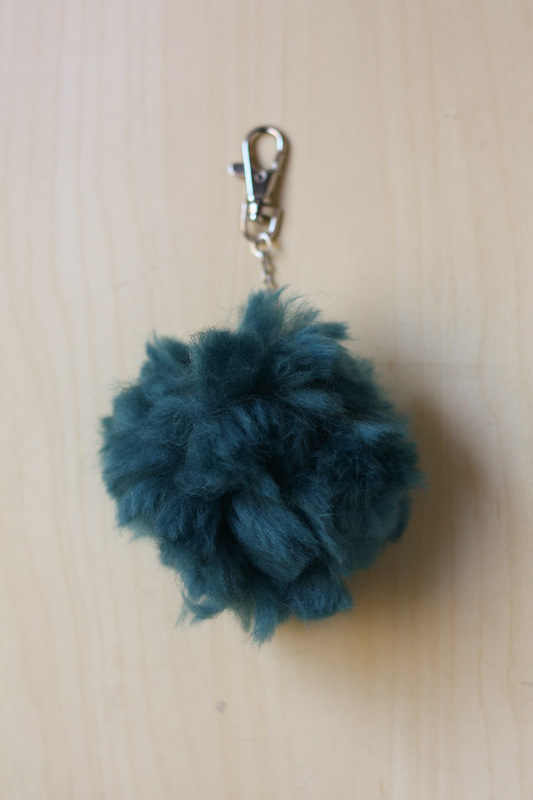 If you have a large pom pom maker feel free to use it, however the roving is so chunky you don’t really need it! 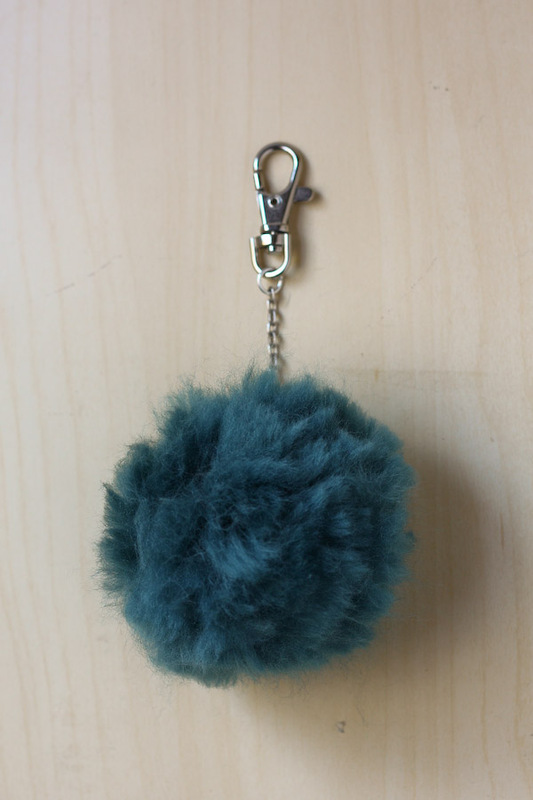 2.If you want to make you fluffy pom pom into a bag charm or key chain, first connect a length of chain to a clip or bag charm using a string jump ring or split ring. If you want it to hang from the wool or twine, skip this step. 3.Cut a 30cm length of wool or twine. 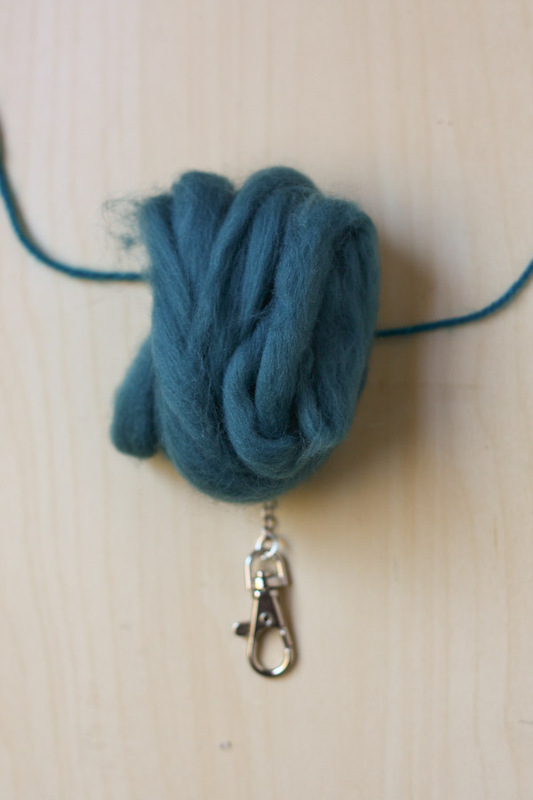 If using the chain made in step 2, thread this on to the middle (I added a 5mm jump ring as this wool wouldn’t fit through the chain links) and tie a knot to keep it in place. 4.Wrap the long length of roving around three fingers, or you can use the large size (85mm) pom pom maker and use the wool or twine from step 3 to tie it off, then skip to step 7. 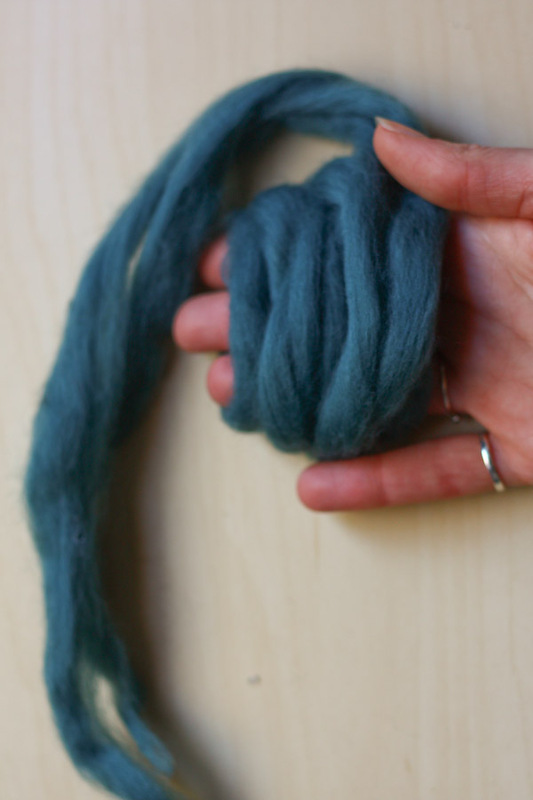 5.Gently slide the wrapped roving off your hand and place on top of the wool or twine. 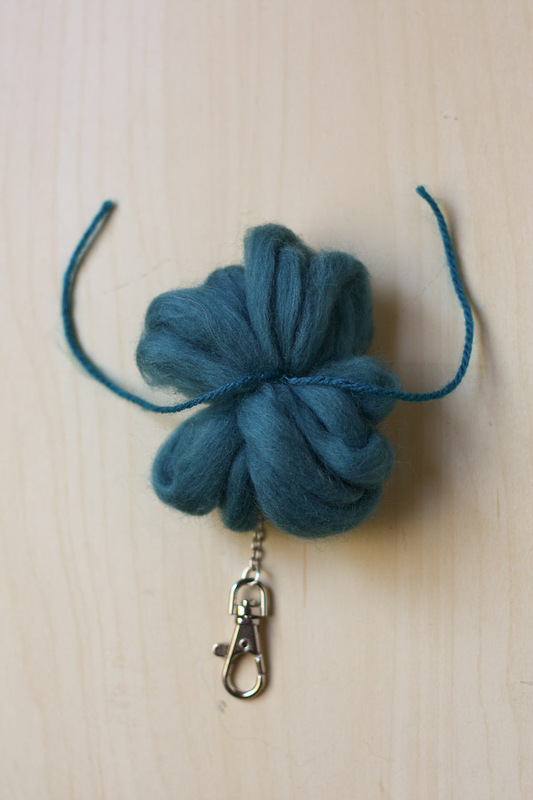 6.Making sure the wool is in the centre of your roving, tie a tight knot (I like to use a reef knot) then trim off the excess, unless you plan on hanging the pom pom or sewing it onto a hat! 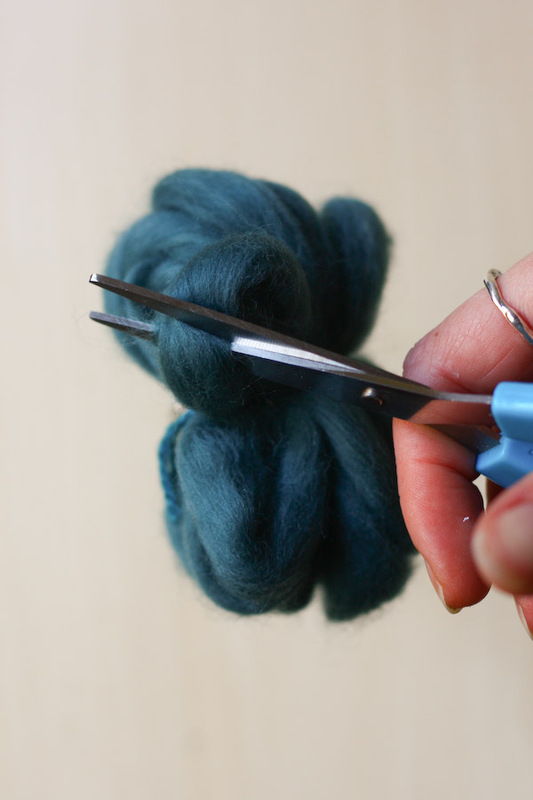 7.Using sharp scissors, cut the loops of roving on both sides. 8.It will look a bit like its having a really bad hair day at this point, but thats OK! 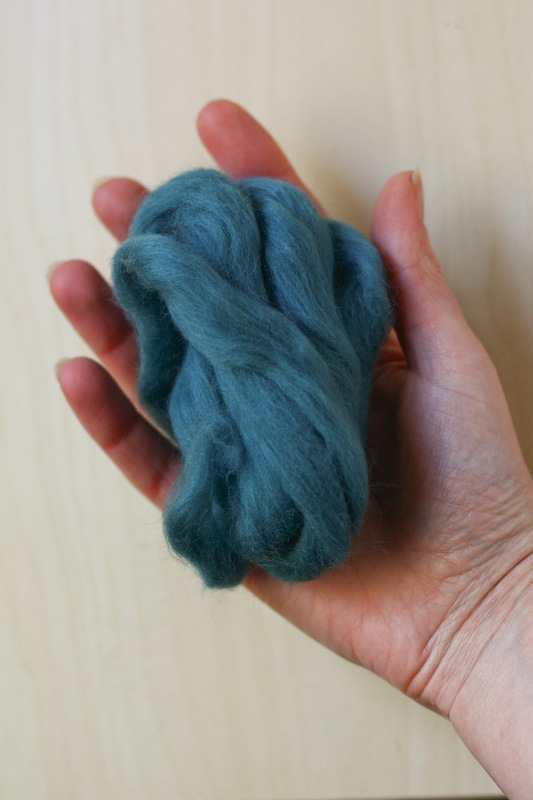 9.Begin to trim any long fibres that are sticking out… getting better! 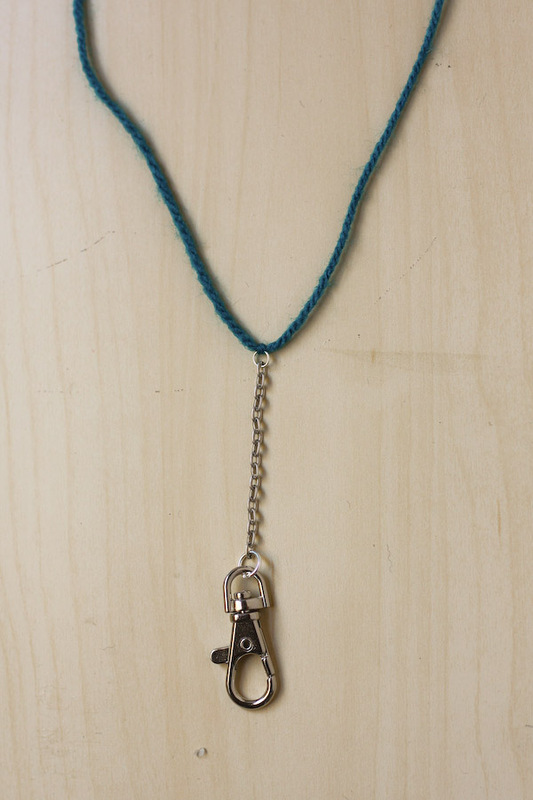 11.Its all ready to attach to your bag or keys! 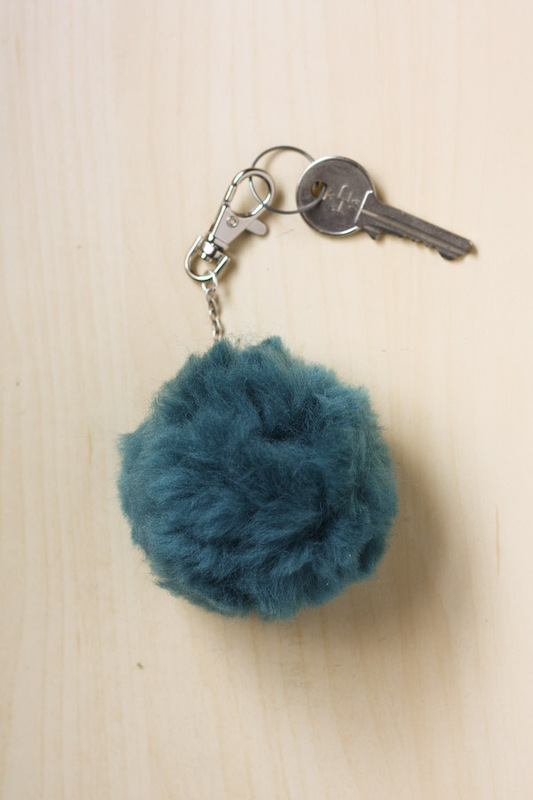 If you have a go at making your own Fluffy Pom Poms, or have any questions feel free to comment below or message me on Twitter, Instagram or Facebook! Happy Making!